American heroes come in all sizes. Long before dawn, he tosses your paper onto the front porch and never once into the rose bush. 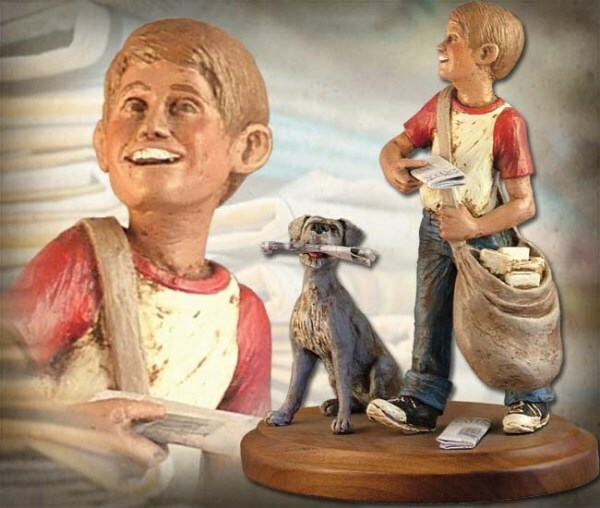 This handmade sculpture is valued at $316.00. Now you can save 45% as part of our lower everyday pricing. Sculpture measures 8.5″ x 7″ x 5″. ©2008. Handpainted finish. Includes oval wood base. #MG696. You can even personalize the newspaper! 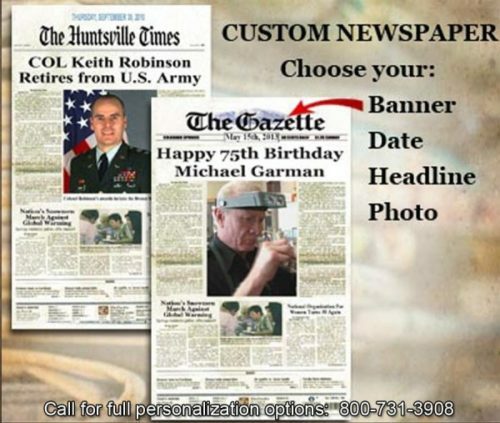 Simply purchase the Custom Newspapers option featured below, then email your personalization information to email artwork@michaelgarman.com or call 800-731-3908 to speak with a personalization specialist.